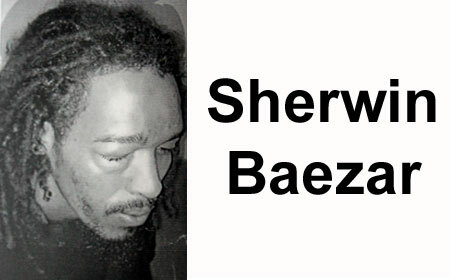 BELIZE CITY, Tues. July 14, 2015–Sherwin Baezar, a resident of the Mile 8 community on the George Price Highway, will never forget the date, October 24, 2014, when he allegedly committed a minor bicycle offence, but was so severely beaten by police that they had to keep him in custody for three days until his bruised and swollen face appeared presentable enough for him to be taken to court to be arraigned on a string of trumped-up charges. Today, Chief Magistrate Ann Marie Smith dismissed charges of assaulting a police officer, resisting arrest, insulting words to a police officer and riding a bicycle contrary to the flow of traffic which had been brought against the 29-year-old Baezar. In handing down her decision, the Chief Magistrate noted that the charges against Baezar stemmed from “a blatant case of police brutality” at the hands of three policemen and their superior officer, a sergeant attached to Police Precinct 1 on Euphrates Avenue. The Chief Magistrate said she would be making a report to the officers’ superiors as a result of what transpired in the case. What may have aggravated Smith even more was that during the delivery of her decision, one of the officers involved in the case was seen giggling in her courtroom. On October 24, 2014, Sherwin Baezar was arrested by PC Andy Rodriguez and PC Adalberto Batum. Rodriguez alleged that he saw Baezar riding his bicycle contrary to the flow of traffic on East Collet Canal Street, and as a result, Baezar was handcuffed and placed in the back of the police mobile patrol unit. The police had alleged that Baezar assaulted Rodriguez when the officer held on to his hand during their attempts to detain him and that Baezar pushed his hand away. Baezar, on the other hand, said that the policemen began beating and pounding him after they dragged him off the street. He maintained that he had not been riding contrary to the flow of traffic. After he was dragged off the street, he was placed in the pan of the police pickup and Rodriguez and Batum began beating him, he said. According to Baezar, he was hit several times in the face, and was beaten all the way to the police station. The police officers had to take Baezar to seek medical assistance because his face was swollen beyond recognition. Baezar’s medical legal form never made it into his case file. In fact, it just disappeared. Rodriguez, the arresting officer, was asked by the Chief Magistrate, what happened to Baezar’s medical legal form? Baezar’s mother also testified at the trial. Her testimony was stunning as she recalled the shocking details of when she visited her son at the KHMH. The mother testified that she took pictures of her son’s badly swollen face. She took the pictures on camera phone and later downloaded them and printed them to keep as evidence. She testified that after she asked the police for her son’s X-ray result, they refused to give it to her. The picture of Baezar’s face, swollen beyond recognition, was showed to the court by his mother. Baezar and his mother are planning to take out a law suit against the Police Department.